Hi everyone, my name is Jonathan and I work with Margaret and will be reporting in for her while she’s traveling on her amazing trip to Tokyo and Beijing. She’ll be back before you know it along with her exciting findings from Asia. 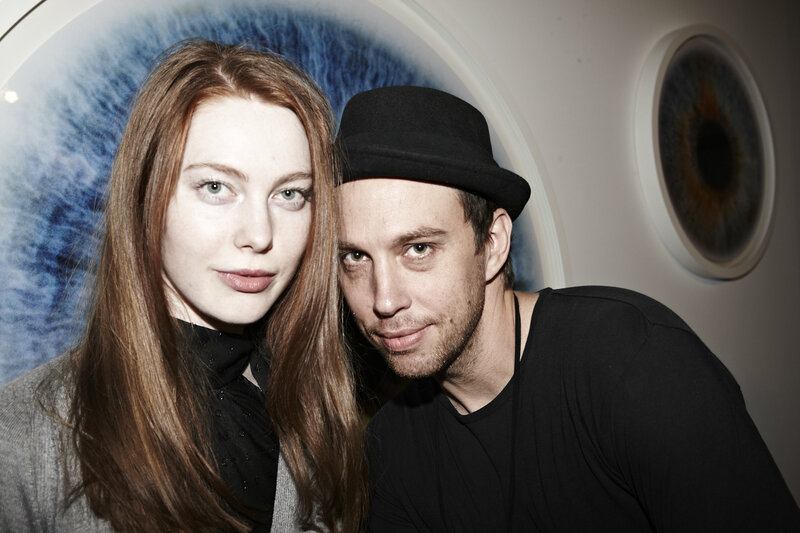 Meanwhile on the home front, on Wednesday night I had the opportunity to attend a private preview of the new exhibition “Eyescape”, shot by famed London-based photographer Rankin. The event itself was a huge success and the work was absolutely phenomenal, which is why I can’t wait to tell you all about it! I am a big fan of his striking images with sharp and dramatic elements, not to mention his signature insightful portraits. Which is why the new exhibition, a series of close-up photos of just the eyes, is such an intriguing proposal given his reputation as a great portraitist. 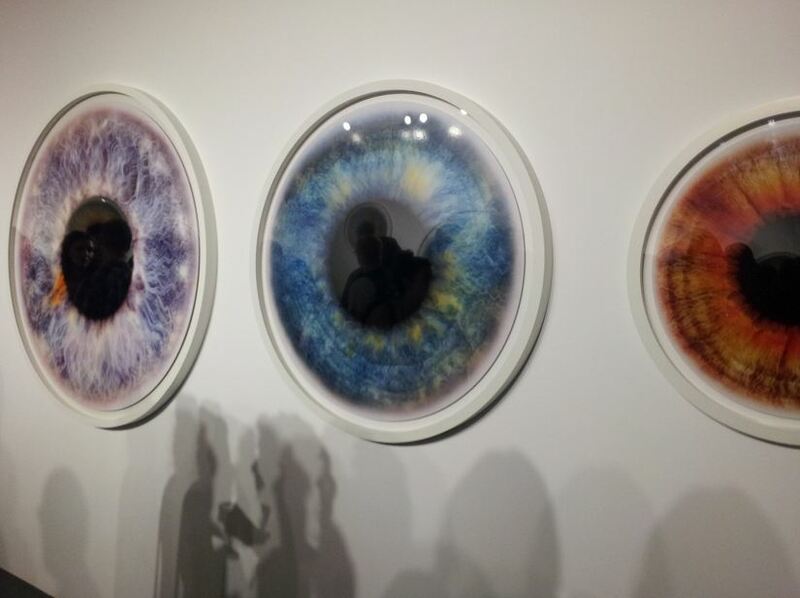 “Eyescape” was Rankin’s way of “expos[ing] the eye as the central point for expression”. By singling out the eye and throwing out all other physical distractions, Rankin was able to focus solely on what the eye is communicating – joy, sadness, fear, astonishment…etc. A picture of part of the exhibit posted by an attendee. Rankin said himself, “Eyes are my favorite part of the body – eyes and getting the best out of them are my stock-in-trade as a portrait photographer, I’m constantly telling my subjects to feel something with their eyes”. 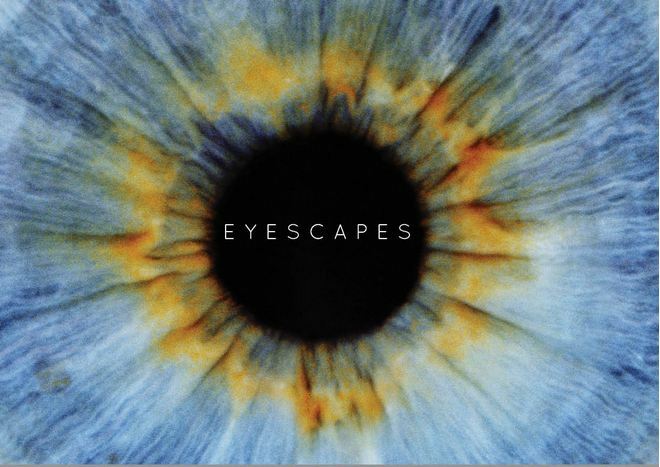 The name “Eyescape” came to be “because seen so near, the irises and pupils suddenly take on the undulating and expansive qualities of a landscape photograph.” Besides the captivating and vivid colors of each portrait, the details captured are outstanding and intriguing. The party itself was lovely with some of the best from Los Angeles’s art, entertainment, and fashion world coming out to support the photographer. 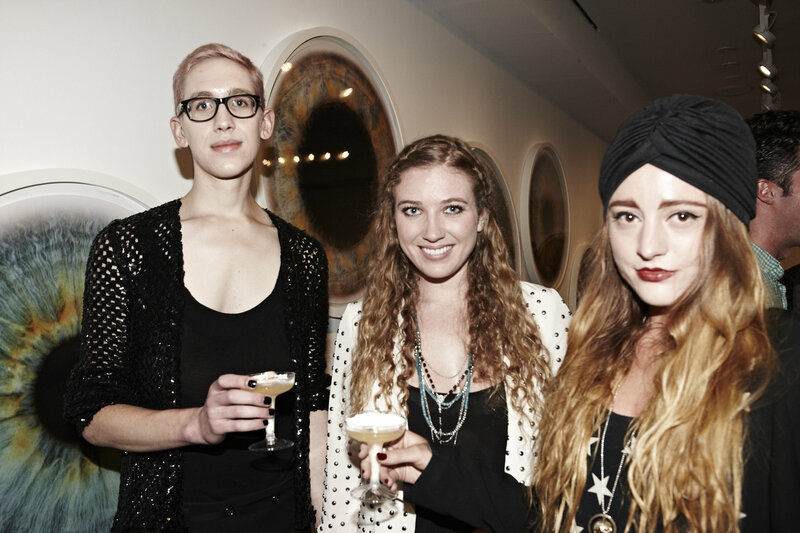 Guests came dressed up fashionably for the opening and we spotted a few stylish guests and a few celebrities enjoying a drink while examining the art. 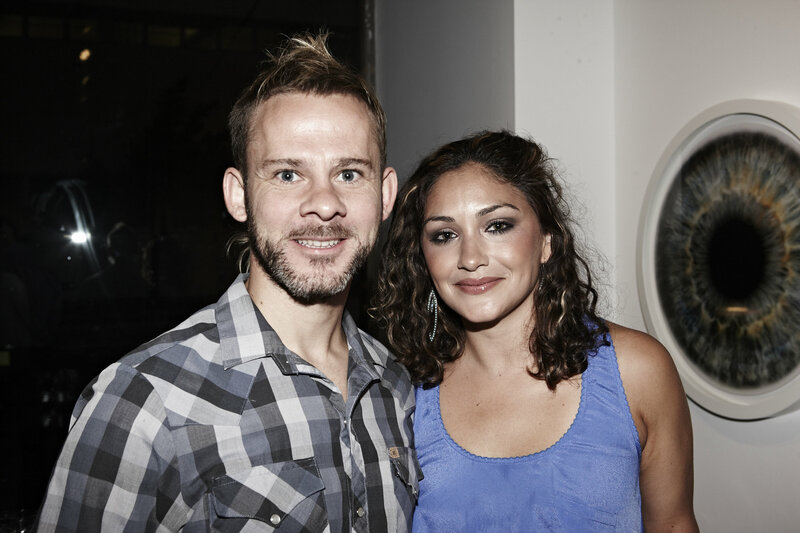 Peering across the gallery I spotted Dominic Monaghan, star on projects such as “Lost” and “Lord of The Ring“. And after a round of champagne and cupcakes, in walked two stars from “Harry Potter” – Rupert Grint and Tom Felton. The British actors decided to drop by to support their fellow Brits and a buzz immediately spread through the floor following their entrance. All in all, it was great outing for Rankin. I have been such a big fan of his photography and once again his pictures served as great inspiration. The colors are right on for what we’ve been seeing in fashion and the idea of focusing on such details reminded me what great fashion is about – an attention to the most minute details. All of which makes me even more excited to find out about Rankin’s participation in Swatch‘s “Art, Fashion, & Sport” collaborative collection. The range also included specially designed watches by German artist Markus Linnenbrink and Norwegian professional snowboarder Terje Haakonsen. The Rankin version features clean wristbands with the eye as the center and used as the background of the watchboard. 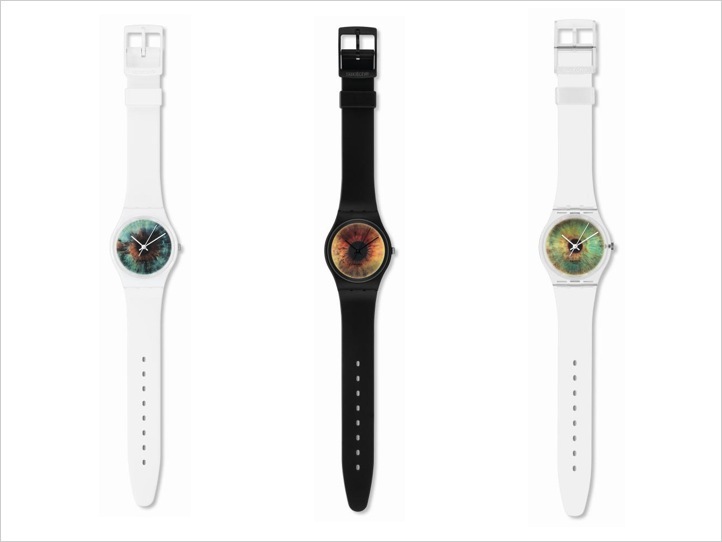 They are being sold at selected Swatch stores and online at www.swatch.com. I had a great time at the gallery and encourage anyone to go see it if you are in Los Angeles in the next few months. The exhibition will be available to the public starting from Aug. 4th, 2011 and will remain at the Rankin Gallery on Melrose and Crescent Height for 6 weeks. Where did you find the photos from this evening?